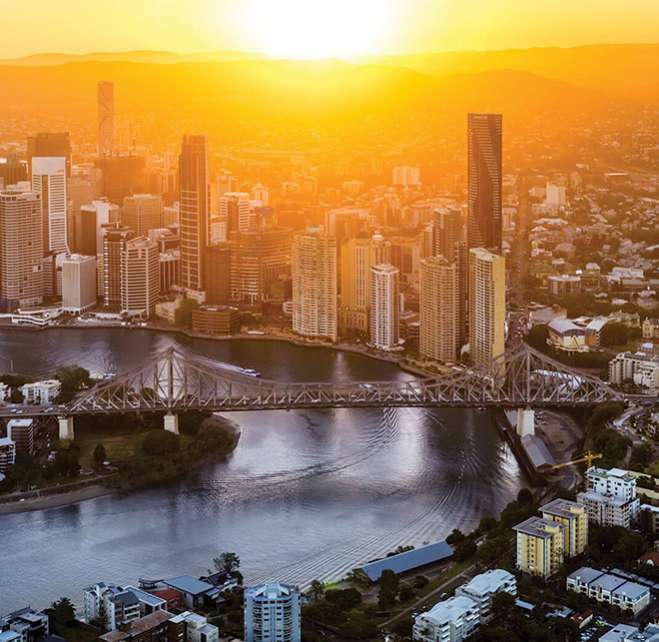 The top Brisbane events of 2019. Stumped for things to do in Brisbane this year? Don’t fret, we’ve got the top Brisbane events of 2019 lined up, so all you have to do is grab your ticket and go! The tenth annual Brisbane Comedy Festival comes roaring into the river city in February and March and will guarantee you a side-splitting good time! The laughs will be even bigger and better than before with improv and sketch comedy from comedians all over the globe. Held at the iconic Brisbane Powerhouse, Brisbane City Hall and SunPAC, this is one event that you won’t want to miss! Don’t walk, run! The McDonald’s Brisbane Marathon winds its way through the streets of Brisbane in June with plenty of events for all ages. For the experienced, try the full marathon, starting and finishing at Riverstage. If you’ve got little ones in tow, try the two kilometre mini marathon where all finishers will receive a commemorative medal. $10 from each entry will also go to Ronald McDonald House. Brisbane Festival attracts about one million people each year, making it one of Australia’s largest arts festivals. From dance to theatre to music and more, the city will come alive with celebrations this September. Don’t miss the biggest event of all – Sunsuper Riverfire at South Bank, when the night sky will ignite with a fireworks extravaganza. Don’t just go for the showbags! The Royal Queensland Show, otherwise known as the Ekka, is the largest cultural festival in Brisbane, held over ten days each August. The Brisbane Showgrounds will bring the country and city together with wood chopping competitions, world-class entertainment, carnival rides and more. Pat-a-pig, shear a sheep, listen to bush poetry or be wowed during EkkaNITES, with two hours of fireworks and thrilling entertainment each night. Get your groove on at one of the many Brisbane live music venues dotted around the city. Some of the world’s biggest acts will be hitting the stage in Brisbane this year including Fleetwood Mac and Elton John at Brisbane Entertainment Centre as well as Amy Shark and Tash Sultana at Riverstage. For something a little more intimate, check out Brooklyn Standard with live music throughout the week or The Tivoli, featuring a range of genres from all over the world. Sports fanatic? Brisbane has you covered. Head to the Gabba (Brisbane Cricket Ground) during the summer months to watch the Brisbane Heat take on their rivals, or visit Suncorp Stadium for the NRL Magic Round or to cheer on the Brisbane Roar soccer team. Situated on the cusp of the Brisbane CBD with expansive views over the city, The Johnson is the ultimate Brisbane hotel accommodation. This boutique hotel boasts a 50-metre swimming pool with sundeck, beautifully appointed open-plan suites and Tumbling Stone Restaurant & Bar, featuring only the best local produce. Join us as we present a night of fun and entertainment with Henri Leconte. Our Cullen Crew well-and-truly represented at this year’s Midsumma Festival, carnival day.